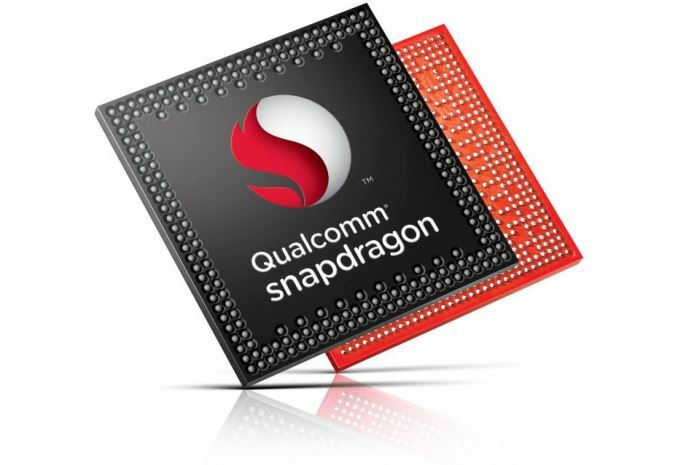 Today, Qualcomm launched a set of new SoCs, namely the Snapdragon 616, 412, and 212. These are updates to the Snapdragon 615, 410, and 210 respectively. If you were to guess that these are relatively minor updates, you’d be right. First off, the Snapdragon 616 leaves the 615 mostly unchanged, with the top clockspeed of the little cluster jumping from 1 GHz to 1.2 GHz. However it should be noted that there are iterations of the 615 with a 1.11 GHz little cluster clock as well. Meanwhile the Snapdragon 410 to 412 upgrade is a bit bigger, with the single cluster of A53s going from 1.2 GHz to 1.4 GHz and the memory interface going from a max of 533 MHz to 600 MHz. The Snapdragon 210 to 212 upgrade on the other hand is similar to the 615 to 616 upgrade, with the single cluster of A7s going from 1.1 to 1.3 GHz and are otherwise unchanged. Overall it’s a bit unfortunate that none of these SoCs have made the move from a traditional polySiON gate oxide to a high-k metal gate process yet. However I suspect that in these lower tiers even the cost of HKMG would dramatically affect competitiveness and price. Finally, at this point it's unclear when these new variants will begin shipping, but it’s likely that this part is sampling now. Which means that devices with these new SoCs should be available before the end of the year. when apple released the A7, i bet qualcomm engineers didn't even have a 64bit cpu prototype on a paper napkin. and it looks like they are taking their time to learn cpu core design all over again, because it's been almost 3 years. They paid for this mistake tho.. huge layoff's and a rapid declining market cap. If you are correct, that they didn't even have a prototype on a napkin, then the three years spent have literally been spent developing Kryo from the ground up. It has nothing to do with taking their time as it literally takes that long to develop a new product. In other words, it isn't that Apple designs a brand new iPhone every year, they develop a brand new iPhone every other year and have, likely, a second time developing the S variants every two years (based on the still not released non S variant). In other words; 2012 was the iPhone 5 release; at that time there was a team already one year into the iPhone 5S release while a second team was working on the iPhone 6.
based on your response, that's a 4 year gap for qualcom and a 3 year gap for apple. It looks like apple took only 3 years to make the a7 based on their acquisition of PS Semi which was bought in Sept 2009. Take into account a 6 month company and engineer integration cycle. “The 64-bit Apple chip hit us in the gut. Not just us, but everyone, really. We were slack-jawed, and stunned, and unprepared. It’s not that big a performance difference right now, since most current software will not benefit. But in Spinal Tap terms it is like, 32 more, and now everyone wants it"